The Sydney digital disruption event Daze of Disruption may be over, and yet there is still an epic number of photos just waiting in the wings to come out. If you were at Monday and Tuesday’s digital disruption conference which included a number of keynote speakers, big brands and delicious food, chances are you may spot yourself in the photo gallery above. We’re updating the gallery throughout the day, so check back in an hour if you can’t see yourself yet. 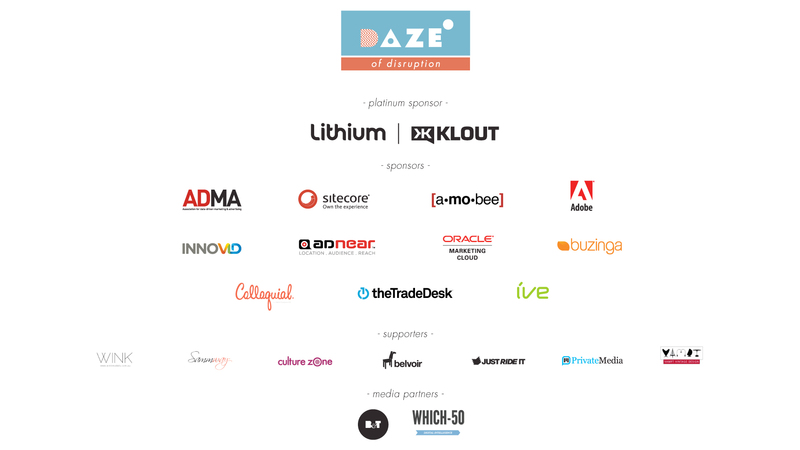 A massive thank you to all our sponsors who made days possible, to our fabulous speakers and all those who came along.